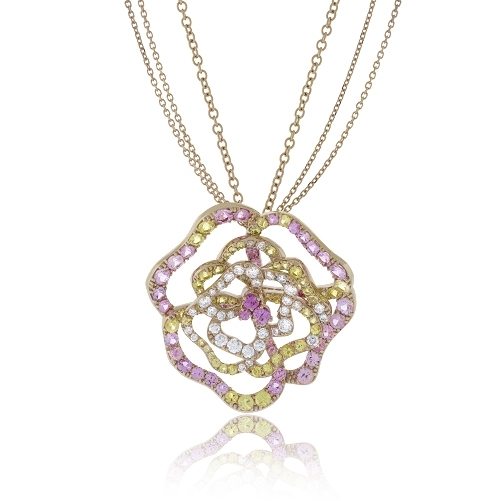 Open flower pendant set with brilliant diamonds, yellow & pink sapphires set in 18k rose gold. Diamonds approx. 1.21ct.